I cut my plants back a few days after shows. This allows me more space on benches for plants that I will use in the next show, plus I do not have to spend time watering those plants quite as much. 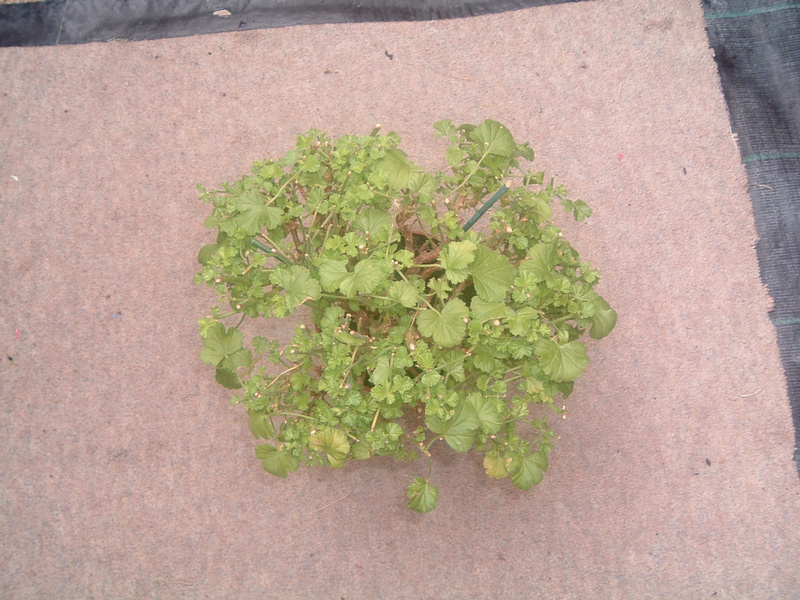 I am going to cut the plant of Dubai Star in the photo back hard as it can be tall growing. 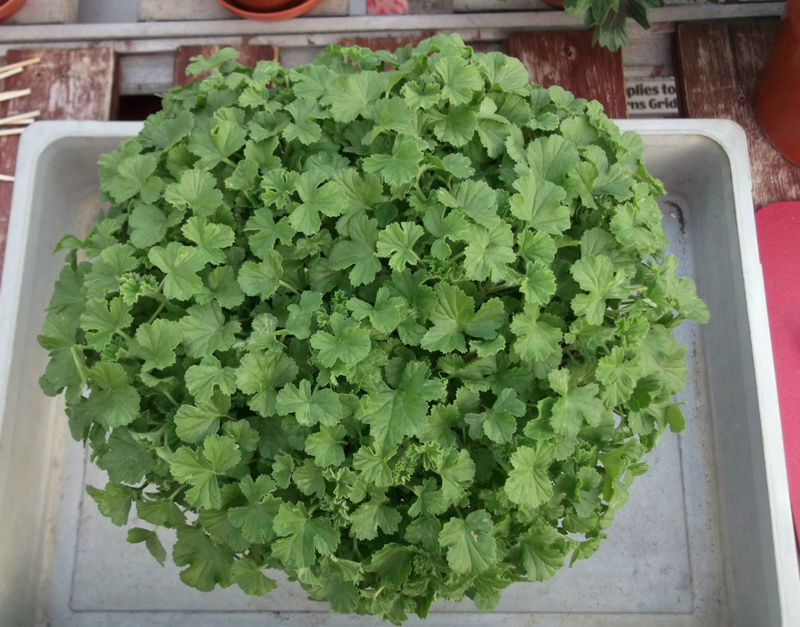 As you can see I have gone back to about 6" from top of the pot, making sure the cut is just above a leaf node. I have found that if the cut is made under a leaf node, that stem could start to rot and even die back to the base of the plant. The advantage of cutting plants back when the weather is warm, is that the stems will soon heal over. 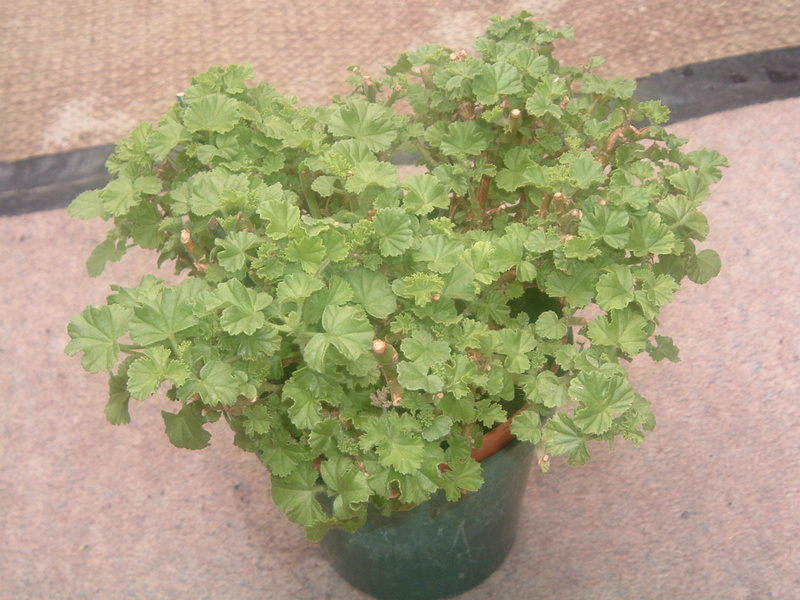 This plant of Bold Carmine which is a Dwarf, has been cut back to about 3" above the pot.The reason I do this is to keep any old wood to a minimum, the new growth will give a better shaped plant. 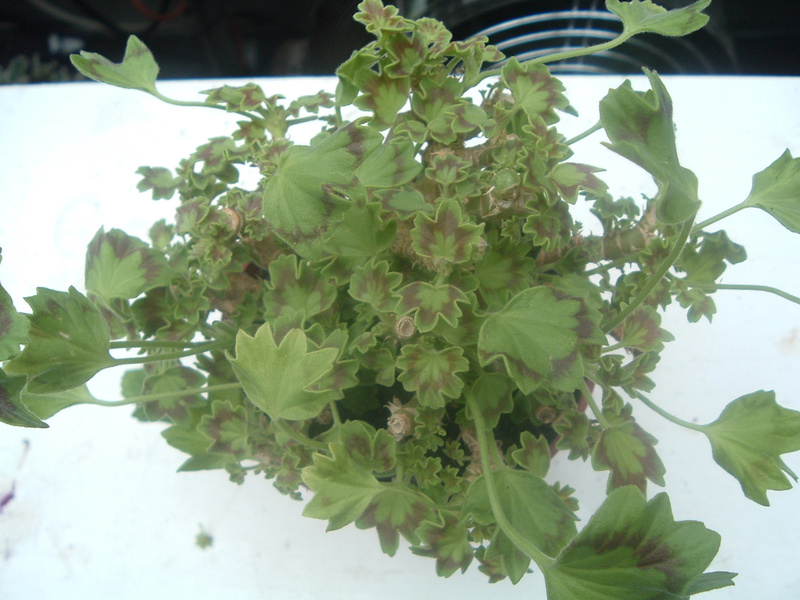 I do not strip all the old leaves off as they help the plant produce new growth more quickly, once this happens the old leaves are then removed. 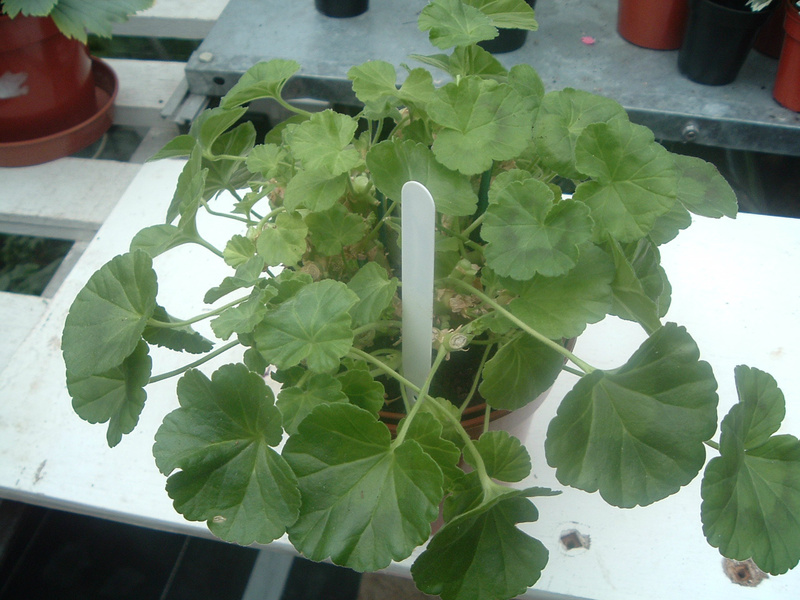 The plant below of Damilola shows the old leaves left on after it has been cut back, after a few weeks the new growth emerges. In this photo you can see all the old leaves have been removed as they have served their purpose. This Stellar was cut back hard on the 21st June, a few days after being in the PAGS National Show. 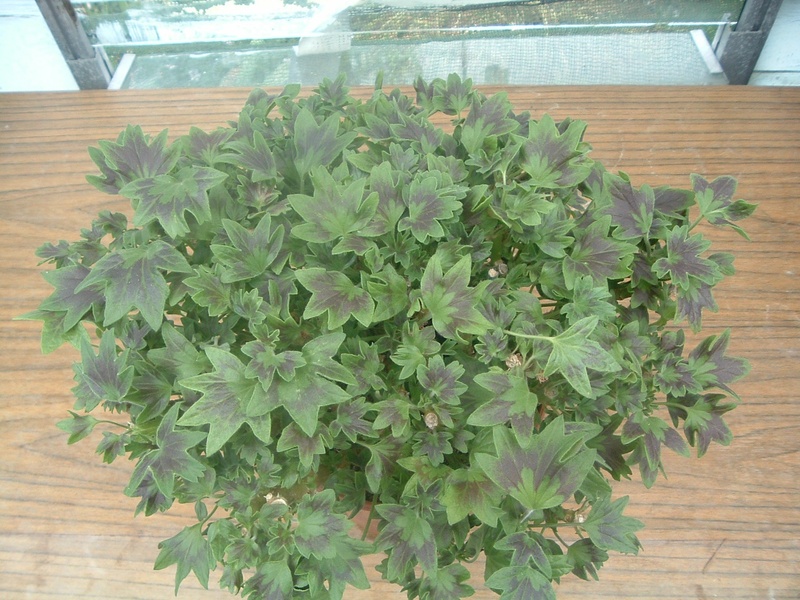 The photo was taken a month later to show how much new growth has been made in this time. 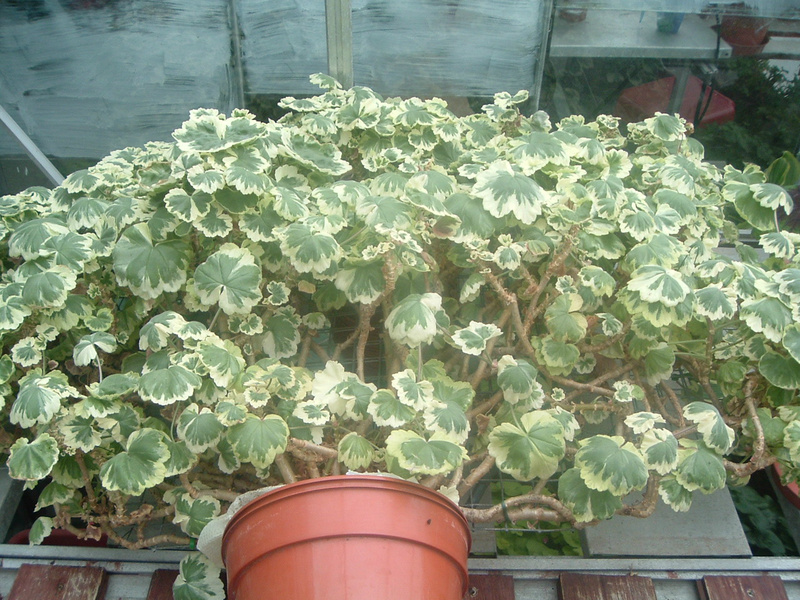 Plants like the fan above are pruned lightly to keep the shape then laid flat on the staging. I find this produces new growth more quickly. The support has been increased by 6" all round for 2012, so hopefully this will be covered by show time. 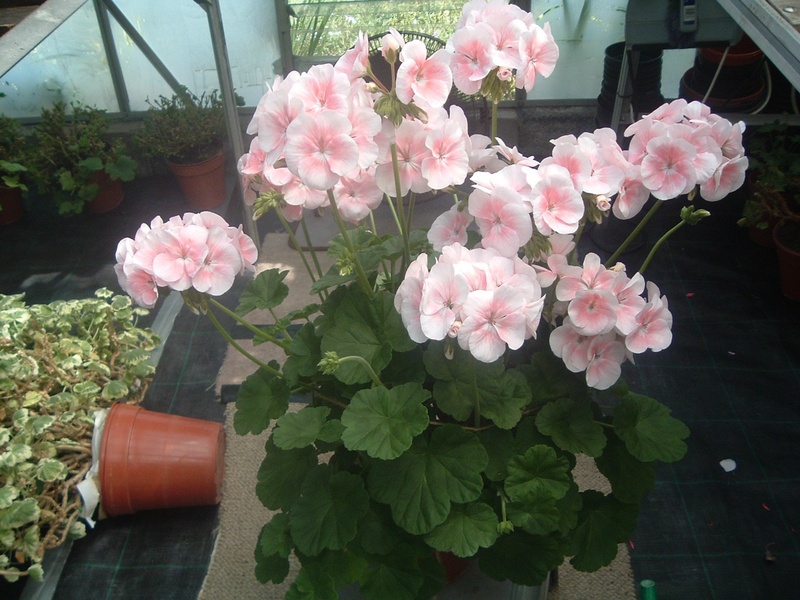 My Angels get treated differently, they are cut back by half to start with like the plant of Quantock Kirsty below. 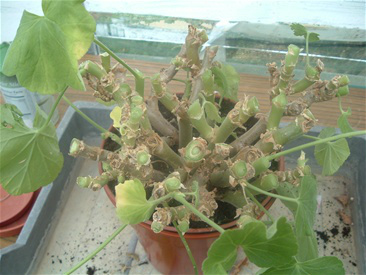 When new growth breaks on the stems a few weeks later, this shows that the plant has recovered from being stopped. I then cut back again to leave 3 breaks per stem, as I like to cut back hard to keep a compact shape. The reason that I do it this way is that in the past I have lost certain varieties by cutting them back too hard straight away. 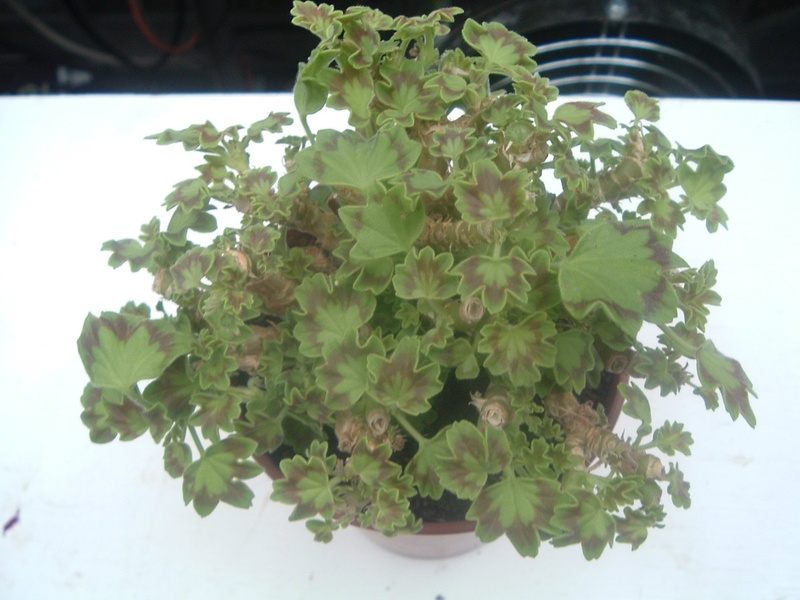 To Prove my method works here is the same plant a few months later making up into a nice shape.